Austin Sitemap. We offer apartments, lofts and town homes in Austin Texas. Austin is a great city to call home. I can assist you with apartments throughout the city. All areas, all prices and all sizes. Please send us your information to get us started. Greater Austin has hundreds of apartment communities and our professionals spend their time knowing the market to save you time and money in finding the perfect apartment for YOU. Pick of the Week! Start your search now! - Call 512-275-6422 or complete the search form. Alexan at Rattan Creek Apartments, TX, Zip Code: 78752-0000 Call 512 275-6422 for information about renting! Alexan Cityview Apartments, Austin TX, Zip Code: 78704-0000 Call 512 275-6422 for information about renting! Alexan Congress Apartments, TX, Zip Code: -78752 Call 512 275-6422 for information about renting! 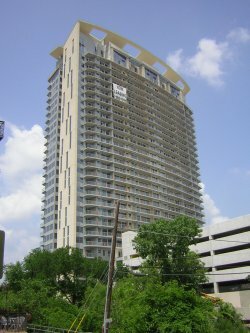 Alexan Miramont Apartments, Austin TX, Zip Code: Call 512 275-6422 for information about renting! Alexan Silverado Apartments, TX, Zip Code: 78613 Call 512 275-6422 for information about renting! Alicante Townhomes Apartments, TX, Zip Code: 78730 Call 512 275-6422 for information about renting! Amli at Lantana Ridge Apartments, TX, Zip Code: 78735 Call 512 275-6422 for information about renting! Amli at Scofield Ridge Apartments, Austin TX, Zip Code: 78727 Call 512 275-6422 for information about renting! Amli at Walnut Creek Apartments, TX, Zip Code: 78754 Call 512 275-6422 for information about renting! Amli Downtown Apartments, TX, Zip Code: 78701 Call 512 275-6422 for information about renting! Arboretum Oaks Apartments, TX, Zip Code: 78759 Call 512 275-6422 for information about renting! Ashbury Parke Apartments, TX, Zip Code: 78758-0000 Call 512 275-6422 for information about renting! Austin Parke Apartments, TX, Zip Code: -78752 Call 512 275-6422 for information about renting! Austin Trails Apartments, TX, Zip Code: 78749 Call 512 275-6422 for information about renting! Austin Tuscany Apartments, TX, Zip Code: -78703 Call 512 275-6422 for information about renting! Avendaro Apartments, TX, Zip Code: 78726 Call 512 275-6422 for information about renting! Barton Creek Landing Apartments, TX, Zip Code: 78746-0000 Call 512 275-6422 for information about renting! Barton's Mill Apartments, TX, Zip Code: 78704 Call 512 275-6422 for information about renting! Bishop's Square Apartments, TX, Zip Code: 78666 Call 512 275-6422 for information about renting! Bridgehead Apartments, TX, Zip Code: 78732-0000 Call 512 275-6422 for information about renting! Brown Building, The Apartments, TX, Zip Code: 78701 Call 512 275-6422 for information about renting! Camden Huntingdon Apartments, TX, Zip Code: -78758 Call 512 275-6422 for information about renting! Camden Ridgecrest Apartments, TX, Zip Code: 78728-0000 Call 512 275-6422 for information about renting! Campus Estates Apartments, TX, Zip Code: 78741 Call 512 275-6422 for information about renting! Canyon Creek Apartments, TX, Zip Code: 78759-0000 Call 512 275-6422 for information about renting! Canyon Springs on Bull Creek Apartments, TX, Zip Code: 78731 Call 512 275-6422 for information about renting! Cedar Park Townhomes Apartments, TX, Zip Code: 78613 Call 512 275-6422 for information about renting! Centergate Tree Tops Apartments, TX, Zip Code: 78731 Call 512 275-6422 for information about renting! Century Square Apartments, TX, Zip Code: 78705 Call 512 275-6422 for information about renting! Channings Mark Apartments, TX, Zip Code: 78759-0000 Call 512 275-6422 for information about renting! Cliffs at Barton Creek Apartments, TX, Zip Code: -78746 Call 512 275-6422 for information about renting! College Park - The Landing-SP Apartments, TX, Zip Code: 78741 Call 512 275-6422 for information about renting! Crossing, The Apartments, TX, Zip Code: 78748 Call 512 275-6422 for information about renting! Duval Villa Apartments, TX, Zip Code: 78751-0000 Call 512 275-6422 for information about renting! Enclave at La Frontera Apartments, TX, Zip Code: 78681 Call 512 275-6422 for information about renting! Estate on Quarry Lake Apartments, TX, Zip Code: -78759 Call 512 275-6422 for information about renting! Exchange at San Marcos, The Apartments, TX, Zip Code: 78666 Call 512 275-6422 for information about renting! Falconhead Apartments, TX, Zip Code: 78738 Call 512 275-6422 for information about renting! Fiesta Place Apartments, Austin TX, Zip Code: 78751-0000 Call 512 275-6422 for information about renting! Forest Creek Townhomes Apartments, TX, Zip Code: 78664 Call 512 275-6422 for information about renting! Gables at the Terrace Apartments, TX, Zip Code: 78746 Call 512 275-6422 for information about renting! Gables Barton Creek Apartments, TX, Zip Code: 78746 Call 512 275-6422 for information about renting! Gables Bluffstone Apartments, TX, Zip Code: 78759 Call 512 275-6422 for information about renting! Gables Central Park Apartments, TX, Zip Code: 78705 Call 512 275-6422 for information about renting! Gables Great Hills Apartments, TX, Zip Code: 78759 Call 512 275-6422 for information about renting! Gables of Round Rock Apartments, TX, Zip Code: 78664-0000 Call 512 275-6422 for information about renting! Gables Park Mesa Apartments, TX, Zip Code: -78731 Call 512 275-6422 for information about renting! Gables Town Lake Apartments, TX, Zip Code: 78703 Call 512 275-6422 for information about renting! Gables West Avenue Apartments, TX, Zip Code: 78701 Call 512 275-6422 for information about renting! Gaines Ranch Apartments, TX, Zip Code: 78735 Call 512 275-6422 for information about renting! Great Hills Village Apartments, TX, Zip Code: -78759 Call 512 275-6422 for information about renting! Hamilton, The -TDS Apartments, TX, Zip Code: 78704 Call 512 275-6422 for information about renting! Hardrock Canyon I & II Apartments, TX, Zip Code: -78759 Call 512 275-6422 for information about renting! Hills at Lantana, The Apartments, TX, Zip Code: 78735 Call 512 275-6422 for information about renting! Hunter's Chase Apartments, Austin TX, Zip Code: 78729 Call 512 275-6422 for information about renting! Indian Creek Apartments, TX, Zip Code: 78731-0000 Call 512 275-6422 for information about renting! International Residence Apartments Austin, TX, Code: 78729-0000 Call 512 275-6422 for information about renting! Iron Rock Ranch Apartments, TX, Zip Code: 78748 Call 512 275-6422 for information about renting! Jefferson at Sunset Valley Apartments Austin, TX, Code: 78745 Call 512 275-6422 for information about renting! Jefferson Canyon Apartments, TX, Zip Code: 78726 Call 512 275-6422 for information about renting! Jefferson Commons - San Marcos-SP Apartments, TX, Zip Code: 78666 Call 512 275-6422 for information about renting! Jefferson Commons at the Ball Park- Apartments, TX, Zip Code: 78741 Call 512 275-6422 for information about renting! Jefferson Commons at Town Lake Apartments, TX, Zip Code: 78741 Call 512 275-6422 for information about renting! Jefferson Lakes Apartments, TX, Zip Code: 78726 Call 512 275-6422 for information about renting! La Mirage Apartments, TX, Zip Code: -78759 Call 512 275-6422 for information about renting! Lakes at Renaissance Park Apartments Austin, TX, Code: -78728 Call 512 275-6422 for information about renting! Lodge at Warner Ranch Apartments, Round Rock TX, Zip Code: 78664 Call 512 275-6422 for information about renting! Madison at the Arboretum Apartments Austin, TX, Code: -78759 Call 512 275-6422 for information about renting! Mansions at Canyon Creek Apartments, Austin TX, Zip Code: 78726 Call 512 275-6422 for information about renting! Marquis at Barton Creek Apartments Austin, TX, Code: 78735 Call 512 275-6422 for information about renting! Marquis at Caprock Canyon, The Apartments, TX, Zip Code: -78759 Call 512 275-6422 for information about renting! Marquis at Ladera Vista Apartments, Austin TX, Zip Code: 78759 Call 512 275-6422 for information about renting! Meridian Apartments, TX, Zip Code: 78758-0000 Call 512 275-6422 for information about renting! Merrimac Apartments, TX, Zip Code: 78745-0000 Call 512 275-6422 for information about renting! Mesa Verde Apartments, TX, Zip Code: 78759-0000 Call 512 275-6422 for information about renting! Montevista Apartments, TX, Zip Code: -78730 Call 512 275-6422 for information about renting! On the Green Apartments, TX, Zip Code: 78753 Call 512 275-6422 for information about renting! Palazzo Ph. II Apartments, TX, Zip Code: 78666 Call 512 275-6422 for information about renting! Palazzo, The Apartments, TX, Zip Code: 78666 Call 512 275-6422 for information about renting! Park Hill Apartments, TX, Zip Code: 78666 Call 512 275-6422 for information about renting! Park Terrace at Town Lake Apartments Austin, TX, Code: 78704 Call 512 275-6422 for information about renting! Pecan Grove Apartments, TX, Zip Code: 78751 Call 512 275-6422 for information about renting! Pointe at Wood Hollow Apartments, Austin TX, Zip Code: 78731-0000 Call 512 275-6422 for information about renting! Preserve at Rolling Oaks, The Apartments, TX, Zip Code: 78728 Call 512 275-6422 for information about renting! Preserve at Travis Creek Apartments Austin, TX, Code: 78735 Call 512 275-6422 for information about renting! Presidio Apartments, TX, Zip Code: 78729 Call 512 275-6422 for information about renting! Quail Run Apartments, Ausitn TX, Zip Code: 78758-0000 Call 512 275-6422 for information about renting! Ranch, The Apartments, Austin TX, Zip Code: 78717 Call 512 275-6422 for information about renting! Red Hills Villas Apartments, Round Rock TX, Zip Code: 78664 Call 512 275-6422 for information about renting! Renaissance at Northbend Apartments, Austin TX, Zip Code: 78758 Call 512 275-6422 for information about renting! Riata - Arrow Wood Apartments, Austin TX, Zip Code: 78727 Call 512 275-6422 for information about renting! Riata - Buena Vista Apartments, Austin TX, Zip Code: 78727 Call 512 275-6422 for information about renting! Riata - Grey Moss Apartments, Austin TX, Zip Code: 78727 Call 512 275-6422 for information about renting! Riata - Myles Mark Apartments, Austin TX, Zip Code: 78727 Call 512 275-6422 for information about renting! Riata - Rock Creek Apartments, Austin TX, Zip Code: 78727 Call 512 275-6422 for information about renting! Riata - The Dominion Apartments, Austin TX, Zip Code: 78727 Call 512 275-6422 for information about renting! Riata - The Enclave Apartments, Austin TX, Zip Code: 78727 Call 512 275-6422 for information about renting! Riata - Wood Trails Apartments, Austin TX, Zip Code: 78727 Call 512 275-6422 for information about renting! River Oaks (Brodie) Apartments, TX, Zip Code: 78745 Call 512 275-6422 for information about renting! Riverside Square Apartments, TX, Zip Code: 78704-0000 Call 512 275-6422 for information about renting! Riverton Apartments, Ausitn TX, Zip Code: 78717 Call 512 275-6422 for information about renting! Rocking Horse Ranch Apartments, Round Rock TX, Zip Code: 78664 Call 512 275-6422 for information about renting! Saddle Creek Apartments, TX, Zip Code: 78748 Call 512 275-6422 for information about renting! San Marin Apartments, TX, Zip Code: 78759 Call 512 275-6422 for information about renting! San Remo Apartments, TX, Zip Code: 78705 Call 512 275-6422 for information about renting! Savannah Club Apartments, TX, Zip Code: 78666 Call 512 275-6422 for information about renting! Sedona Springs Apartments, TX, Zip Code: -78749 Call 512 275-6422 for information about renting! Settlers Creek Apartments, TX, Zip Code: 78738 Call 512 275-6422 for information about renting! Settlers Ridge Apartments, TX, Zip Code: 78753 Call 512 275-6422 for information about renting! Somerset Townhomes Apartments, TX, Zip Code: 78731 Call 512 275-6422 for information about renting! Sonterra Phase I Apartments, TX, Zip Code: 78726 Call 512 275-6422 for information about renting! Sonterra Phase II Apartments, TX, Zip Code: 78726 Call 512 275-6422 for information about renting! Springs Garden Homes, The Apartments Austin, TX, Code: 78727 Call 512 275-6422 for information about renting! State House on Congress Apartments Austin, TX, Code: 78704 Call 512 275-6422 for information about renting! Sterling University Canyon-SP Apartments, TX, Zip Code: 78741 Call 512 275-6422 for information about renting! Stonecreek Ranch Apartments, TX, Zip Code: 78747 Call 512 275-6422 for information about renting! Stoneleigh at Gracy Farms Apartments Austin, TX, Code: 78758 Call 512 275-6422 for information about renting! Stoneleigh, The Apartments, TX, Zip Code: 78749 Call 512 275-6422 for information about renting! Talavera Apartments, TX, Zip Code: 78729 Call 512 275-6422 for information about renting! Tanglewood North Apartments, TX, Zip Code: 78751 Call 512 275-6422 for information about renting! Toscana Apartments, TX, Zip Code: 78750 Call 512 275-6422 for information about renting! Trails at the Park-AH Apartments, TX, Zip Code: 78748 Call 512 275-6422 for information about renting! Ventana Apartments, TX, Zip Code: 78756 Call 512 275-6422 for information about renting! Ventana Oaks Apartments, TX, Zip Code: 78717 Call 512 275-6422 for information about renting! Venterra at Bradford Pointe Apartments, TX, Zip Code: 78758 Call 512 275-6422 for information about renting! Verandah at Grandview Hills Apartments, TX, Zip Code: 78726 Call 512 275-6422 for information about renting! Villa Vallarta Apartments, TX, Zip Code: 78705 Call 512 275-6422 for information about renting! Villages of Sage Creek Apartments, TX, Zip Code: 78600 Call 512 275-6422 for information about renting! Villas at Stone Oak Ranch Apartments Austin, TX, Code: 78727 Call 512 275-6422 for information about renting! Villas of Bristol Heights, The Apartments, TX, Zip Code: 78754 Call 512 275-6422 for information about renting! Villas of La Costa Apartments, TX, Zip Code: 78752 Call 512 275-6422 for information about renting! Vineyard Hills Apartments, TX, Zip Code: 78736 Call 512 275-6422 for information about renting! Vistas at Canyon Creek Apartments, TX, Zip Code: 78726 Call 512 275-6422 for information about renting! Walden Oaks at Bull Creek Apartments Austin, TX, Code: -78731 Call 512 275-6422 for information about renting! Waters Edge Apartments, TX, Zip Code: 78626 Call 512 275-6422 for information about renting! Water's Park Apartments, TX, Zip Code: 78727 Call 512 275-6422 for information about renting! Windsor at Barton Creek Apartments Austin, TX, Code: 78746-0000 Call 512 275-6422 for information about renting! Woodchase Apartments, TX, Zip Code: 78758 Call 512 275-6422 for information about renting!